We spared no expense in bringing in the "Cadillac" of boats for your fishing pleasure. Our 18' Crestliner Kodiak HD boats are completely redesigned and full of amenities which are not seen at many resorts this far north. They have a huge casting platform in the bow of the boat, as well as flat floors throughout the rest of the boat. The casting platform and and floor are covered with a non-slip rubber carpet. 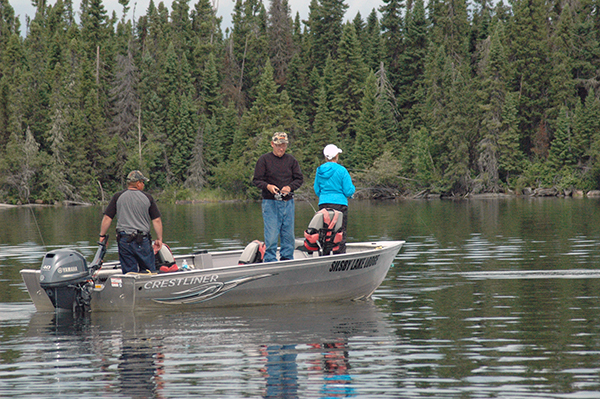 The boat includes an Icom radio, Lowrance fish finder, bilge pump, livewell, 17 gal. 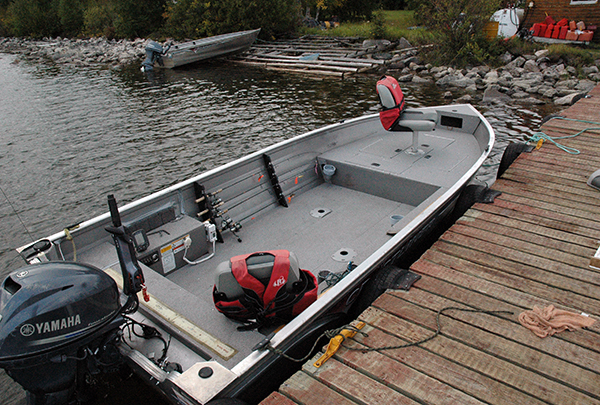 inboard fuel tank, several storage compartments, rod storage, and three movable pedestal cushioned swivel seats. The boats plane out quickly and float effortlessly across the water. Coupled with 40 hp four stroke Yamaha motors, this setup has been a thill for the guests who visit Silsby every season. Yamaha's new 40 hp four stroke motor is even quieter than the previous model. They burn clean and quiet and push these without effort. The new version also incorporates a push button throttle control to adjust your trolling speed to the exact RPM needed to catch fish. We clocked these boats at 32 mph with the GPS, so travelling from one location to the next takes a matter of minutes.